Engagement sessions are fun. I love shooting them. And when a couple is as photogenic, stylish and cool to hang out with as this one is, you know the end result going to be good! Amber, Will + I spent the day at Franklin Canyon Park in Los Angeles and then headed out to a palm tree lined street in Beverly Hills, right off of Rodeo Blvd. Amber had some fun engagement session styling ideas, so we created a pizza date in the park–complete with their fave pie and bottle of vino. Their pup came along for the shoot, too! 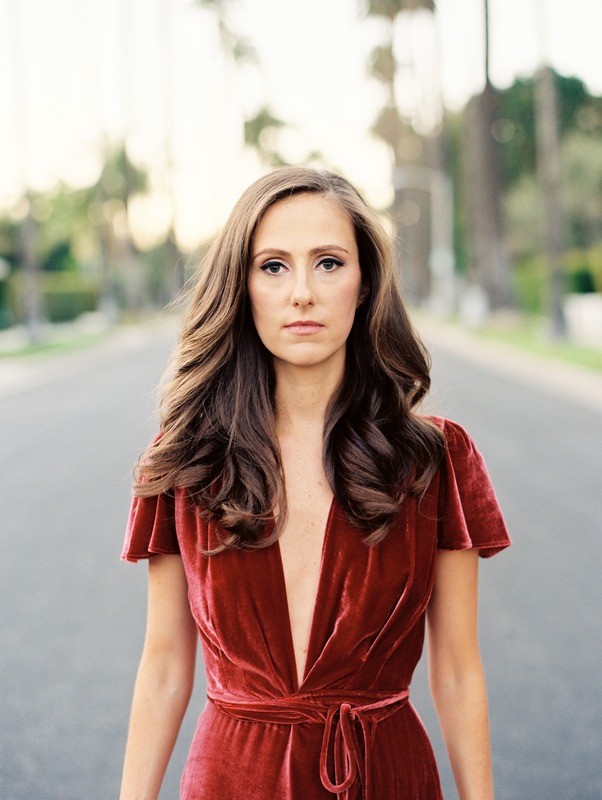 When we headed to Beverly Hills at sunset to wrap up their session, Amber changed into a killer red velvet dress by Reformation, which made these shots pretty amazing. 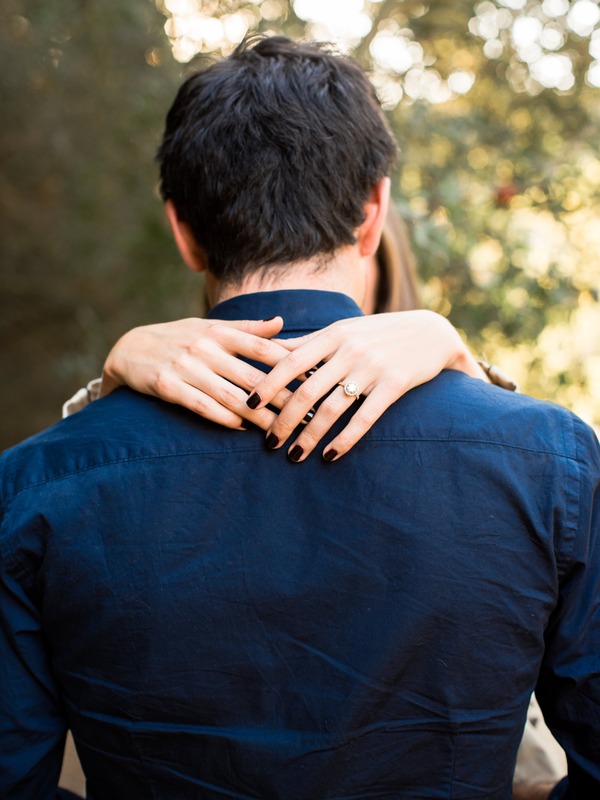 I’m so excited for their upcoming wedding at Greystone Mansion in Beverly Hills! It’s going to be gorgeous. A + W, congrats you guys! Thanks for having me along to capture this exciting time.